3-1/2" x 2-1/4" x 8". 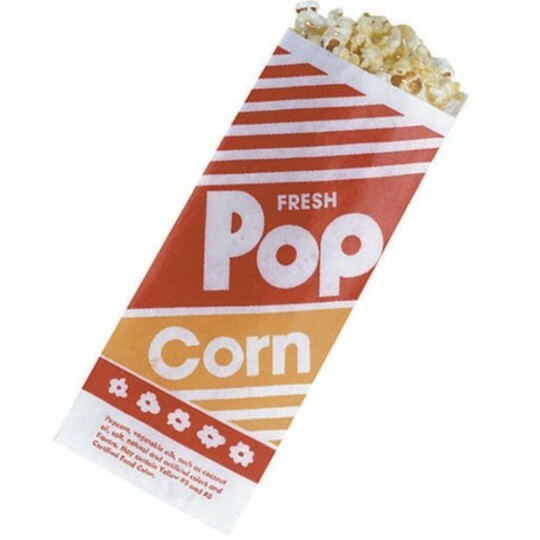 This popcorn bag is the perfect size for our end of the year bash. Work great and they look festive.